The SIUE School of Engineering’s vision is to be in partnership with faculty, students, staff, alumni and other industry professionals, working together to provide the highest quality education and maintain innovative resources that support the technical growth and economic development of this region. The Dean’s Society was developed to recognize donors who wish to make an investment in this vision. As a donor society within the School of Engineering, the goal of the Dean’s Society is to foster giving that makes a difference in the education of our students. With a gift of $1,000 or more, you will be invited to become a member of the Dean’s Society. 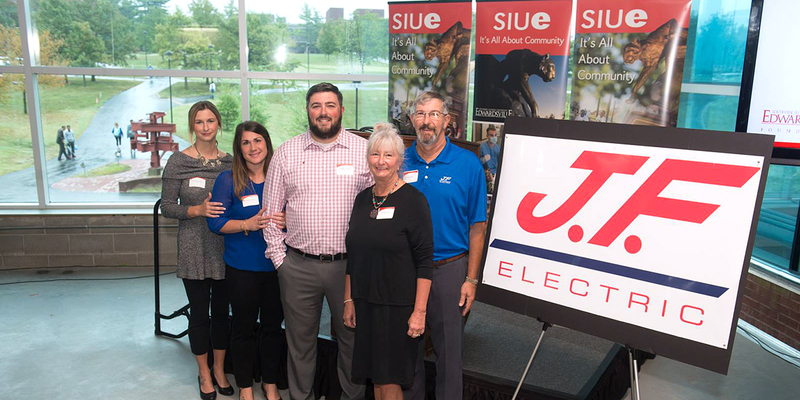 Your generous gift will affirm your belief in the value of a quality education for current and succeeding generations of SIUE engineering students. Gifts may be directed to the School Dean’s fund to be utilized where they are most needed at the discretion of the Dean, or gifts may be restricted to a specific department, program or project within the School of Engineering. Open to alumni, friends, parents, faculty, staff, retirees and industry professionals who make an annual gift of $1,000 or more in any one fiscal year (July 1-June 30). Gifts can be made all at one time or easily broken into various payment plans for your convenience. *The company you work for may match the gift you make to the School, increasing the impact of your gift by doubling, or sometimes tripling the amount! Please check with your human resources office to see if your company has a matching gift program. For more information about how you can become a member of the Dean’s Society, contact: director of development, at 618-650-5020.